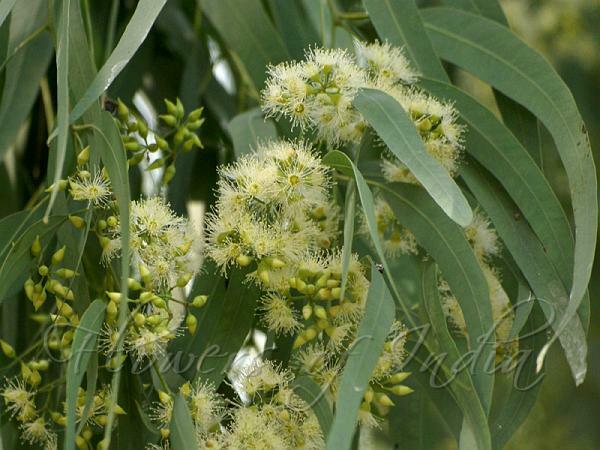 Coolabah is an evergreen tree, native to Australia, up to 10 m tall, rarely more. The bark varies, it can be smooth and white or gray to rough, fibrous, gray to gray-black. Juvenile leaves are alternate, lanceshaped, green to gray-green in color. Adult leaves are lanceshaped and dull green or gray-green in color. Leaves are 4-8 inche long. Inconspicuous creamy white flowers are followed by woody capsules. 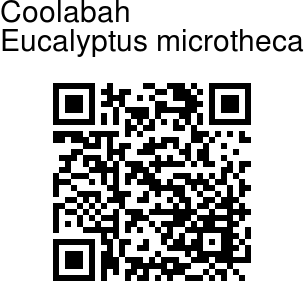 Coolabah is the second most widely distributed species in Australia.